The life expectancy of type 1 diabetes has always been one of the worries, that myself as a parent to two kids with Type 1 always has in the back of their mind. You read many articles and an overwhelming amount of statistics that say, that type 1 diabetes takes 5-10 years off of someone’s life. How can you swallow those words when you read them right in front of you, as a parent, or as someone who lives with type 1 diabetes? It’s difficult to say the least, but even difficult doesn’t cover it. And then you read stories like those of Mr. Richard Vaughn, who has lived with Type 1 diabetes for 71 years, at the age of 6 years old, the same age, coincidentally as my son was diagnosed. That glimmer of “HOPE” reignites back into your heart. Possibility replaces the worry and fear that once took over you. 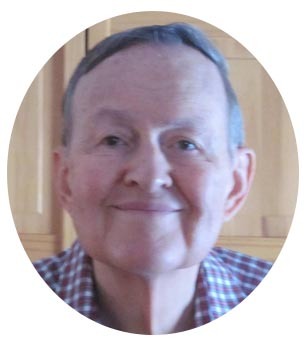 Understanding exactly what Richard has gone through in terms of diabetes treatment and management over the past 71 years is what really makes his story so amazing. Think about the advancement in medicine throughout this time. Consider the treatment options for Richard and his parents when he was first diagnosed and compare them to the ones available today. Things have changed, and his story is nothing short of remarkable. My two Type 1 kids and I had the honor of meeting him and his wife in the summer of 2015 at the Friends for Life Conference. My son and I actually went to one of the sessions where Richard was speaking because I thought it was very important for my son, who at the time was 11 years old, having lived with Type 1 for 5 years up until that point, to hear this man, defying all the odds and statistics for those with Type 1 diabetes, speak. I think the one thing my son will remember from meeting Richard is that they both had the same pump at the time. Can Air Pollution Cause Diabetes? In order for you to understand what has gone on in the diabetes world in the past 70 years, you need to hear it from Richard’s point of view. You need to hear the treatments, his success, his family and what makes him the man that he is today. Richard is always very updated with any new information in regards to diabetes. In fact, it was a few years ago when he read an article that stated “Smart diabetics live the longest” From the year 1945 into the 1980s, Richard has said he really wasn’t too up to date with information regarding diabetes. It wasn’t until the 1990s when he finally had both his basal and bolus insulins. This is the time when his blood sugar became much more controlled, and his a1c’s were within the ‘non-diabetic’ range. During those early years, thankfully, his lack of knowledge in diabetes control and management didn’t cause any complications, could this be luck or good genes? Read more to find out about Richard’s life thus far from the beginning with diabetes here. In 1945, rotating sites wasn’t really discussed in terms of diabetes management. During this time, and for many years after, Richard talks about how insulin was injected directly into the muscle on his upper legs. He always consistently noticed that there were high levels when he received the reports from the lab. Looking back on this, he believes it may be because they were not rotating the sites as to where they were injecting the insulin. Scar tissue probably had begun to form on his legs, making it more difficult for his body to readily absorb the insulin. Read more about Richard’s journey in learning how scar tissue can affect how your body absorbs the insulin here. The syringes and needles we have now are nowhere near in comparison to what they were in 1945. They were dull and required sharpening before they could be used. The needles, Richard has said often times had become clogged from deposits of lime while boiling and had to be unclogged with a small, thing wire. 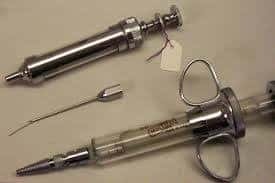 It wasn’t until 1955 when disposable syringes first became available due to concern of infection with the use of glass syringes. Just reading through Richard’s story from the early years of living with Type 1 is enough to make parents of young children with diabetes or even those with diabetes themselves cringe in fear of the pain. I remember shortly after my son Clifford’s diagnosis in 2010, the pharmacy gave us 12 mm needles, I looked at them with a horrified look on my face, my son has been using 8mm up until then and those just looked like a torture device. Fast forward to my youngest, a twin, Maggie being diagnosed. She was diagnosed at 4 and was tiny to begin with so we started with 6mm syringes. Overtime these bruised her more frequently than we’d like. It wasn’t until recently that she was out of her honeymoon period when we were able to switch over to Insulin Pens and have the option of using 4mm pen needles. She will even tell you at times she doesn’t really feel it. Looking back on the glass syringes and the work that went into keeping Richard infection free from multiple daily injections, I can say even though Diabetes is challenging and creates a lot of fears in our minds, we definitely received a blessing to have our kids diagnosed in a day and time when better, more advanced treatment options were available. I have to commend Richard’s parents for taking such wonderful care of him through their diligence and hard work in those early years while he was a young boy. They obviously did something right in teaching him how to properly manage his condition through his dedication and success of living with Type 1 for over 70 years now. I can just pray that I am able to pass on the knowledge and wisdom that I’ve learned throughout the past 7 years since Type 1 entered our lives with my son’s diagnosis to my two children with type 1 so they can go on to live a full, complication free life. If you want to read more about Richard’s story on the Injection methods from 1940s-1960s, please take a look here. In 1945, when Richard was diagnosed there was no blood testing at the time. Instead, they had to test his urine every morning, this was the only way to test blood sugar levels. Benedict’s solution was put into test tubes in which many drops of urine were added. The test tubes were then put into a tin can with a few inches of water, on the stove which was heated until the water in the can boiled. 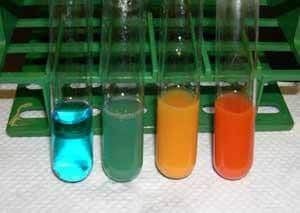 The colors after the water was boiled would reveal if there was any sugar in the urine. Blue meant none, blueish green was a trace, higher levels of sugar were green, yellow, orange and also red. Red was the color that many feared because that meant there were high levels of sugar in the urine. Urine testing wasn’t a very accurate method of trying to figure out what blood sugar levels were. At the time, Richard was only instructed to test his urine levels in the morning, not at any other times during the day. It wasn’t until the 1980s when Richard got his first blood glucose meter. It’s quite interesting to learn about the ways that blood sugar levels were detected in those early years. Read more about testing here. Richard has learned that even though you may see a good a1c on paper, having frequent highs and lows in a roller-coaster pattern could still lead to complications with diabetes. It has been studied many times that even if your average blood sugar reading is 106, that doesn’t necessarily correlate to having good control, enough to avoid complications. Instead, those that are able to keep better, more tight control and avoid frequent rises and drops have a reduced risk of developing any complications related to type 1 diabetes. Read through the studies Richard has documented here to learn more. After having type 1 diabetes for 71 years, Richard does not have many complications at all, which is very encouraging especially for parents of young children with Type 1 diabetes. With the advancements in technology and treatment, the ability to have better control is now a possibility. That being said, I understand as much as everyone that diabetes is so unpredictable and often times there is no rhyme or reason for certain numbers. Avoiding highs, try as we might still do not happen as best as we would like. Richard’s life with Type 1 diabetes has been an interesting journey for sure, it’s one that everyone who is touched by diabetes in one way or another should read through to learn just how different things are now than they used to be. He has many wonderful and informative posts on his blog that can give you insight into all the changes that have been made in diabetes treatment and management. You can see how much so many things have changed since when Richard was first diagnosed until now. Imagine being diagnosed, or having your child be diagnosed 71 years ago! The success Richard has accomplished with his diabetes management and care throughout the years, despite not having the most up to date and advanced medications, supplies and devices that we do now, gives us so much hope that those who have Type 1 diabetes now can go on to live a long and healthy life! I admire Richard how he accepted his condition. This is quite encouraging for those who are leaving with diabetics. At times what the doctors tell us is not true. Richard has lived 71 years yet it is said with type 1diabetics one live only between 5-10 years. well done Richard for sharing this article with us. I’ve had diabetes since 1967 so I’ve only had it 51 years. 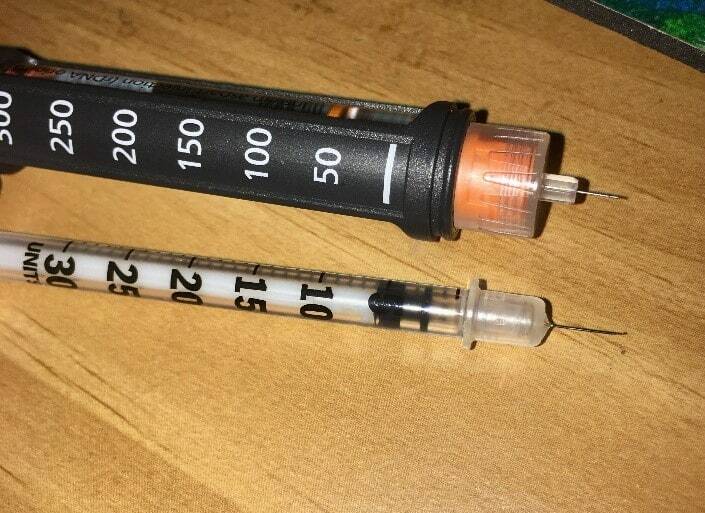 The worst thing I remember is pork and beef insulin… Nice to see I may have another 20 years in front of me. I cannot give you advice intensely through years of experience. I will tell you this, if you can stay active in any way, shape or form consistently, your body will become sensitive to the insulin and your BG will stabilize better. I want to take a moment and tell you about a trick my grandpa who is 95yrs old and a prior service navy men. This is what he told me, “in all my years there is one thing that being in the Navy taught me as a sailor, WALK WITH URGENCY EVERYWHERE and that has served my body well just that devil in the detail I have kept true to my whole life since” Essentially, it doesn’t take going to the gym, P90X or any workout you have to learn to stay young. meaning walk faster than a “walk” everywhere and in everything you and your body will adapt and help control those numbers better. It means simply moving a tad faster than how normally walk. It means challenging. Yourself to get a workout incrementally from the daily tasks of the day moving just “a bit quicker” than what your body is used to. I am a type 1 diabetic in the Army and outperform many because my “battle rhythm” everywhere where I go and what I do. I don’t use a gym and I consistently max the APFT because of this and HIT with all body to weight ratio workout regimens. Push ups, sit ups, squats etc. a lot of people are fooled in wanting the best body but the best way to get it is forcing our bodies to adapt by changing our intensity levels while our bodies are comfortable, lazy or used to relaxation. THINK of your body as CAPABLE OF EVOLUTION and change and your State of mind as well as your body will change in a beautiful way! Good luck to you and remember your body is capable changing when you tell it to laurel. That is odd. My son is a recruiter and told me the military won’t let you join with T1D.